The Freud 04-108 1/4 in. 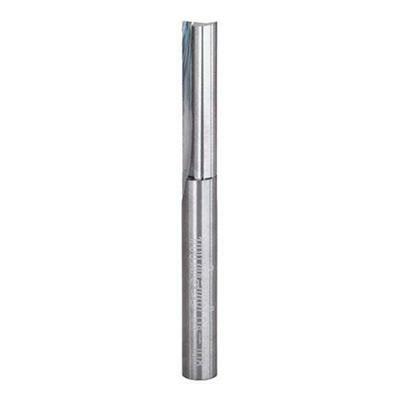 Diameter Double Flute Straight Bit cuts smoother than other bits because of the precise shear and hook angles. End of bit relief allows for fast plunging.